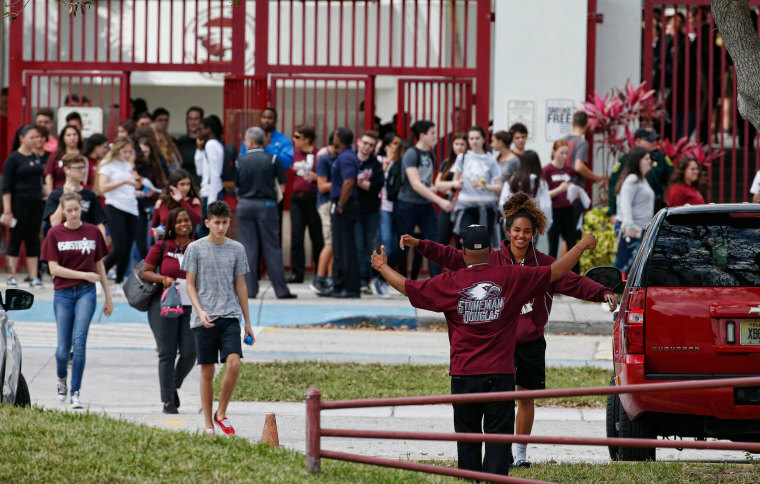 Classes resumed at Marjory Stoneman Douglas High School in Florida for the first time since 17 students and teachers were killed. 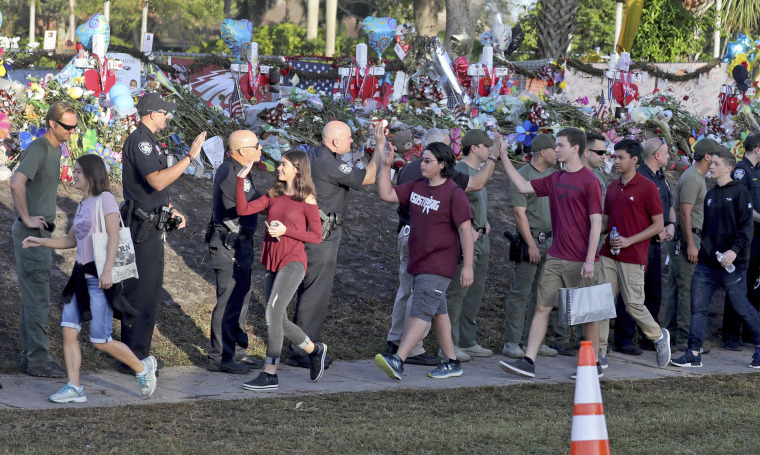 Law enforcement agents line up as students head back to school at Marjory Stoneman Douglas High School on Feb. 28 in Parkland, Florida. 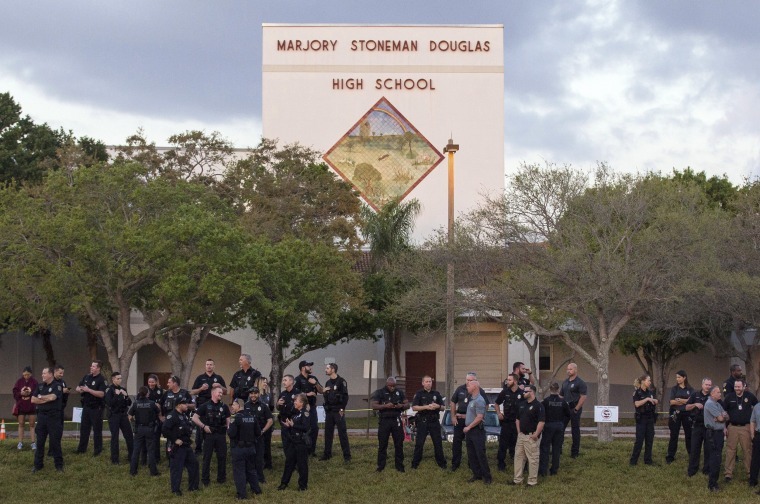 About 50 uniformed officers marched into the school early Wednesday, just one aspect of the heavy security as classes resumed. 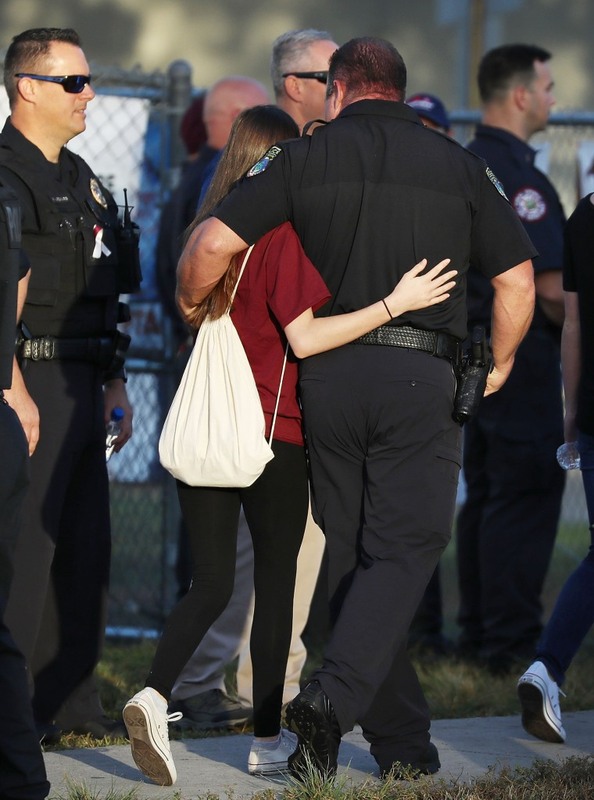 A police officer hugs a student as she arrives for classes. 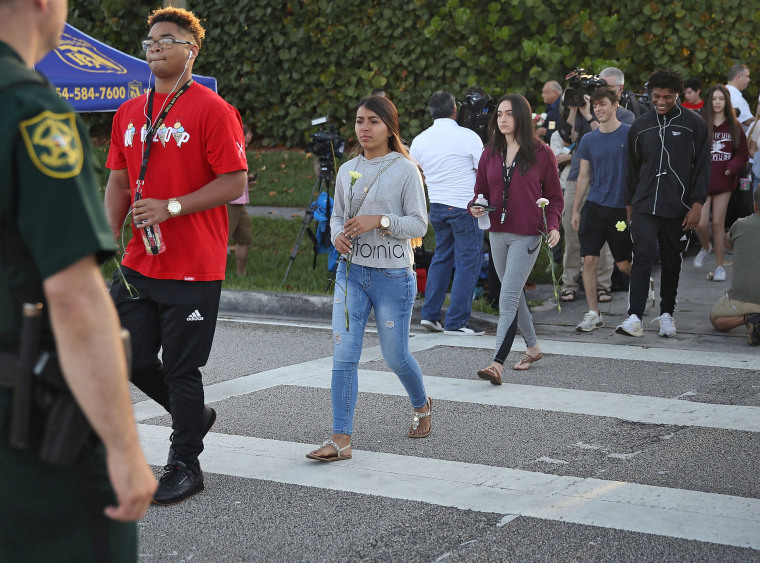 Students wait at a crosswalk. 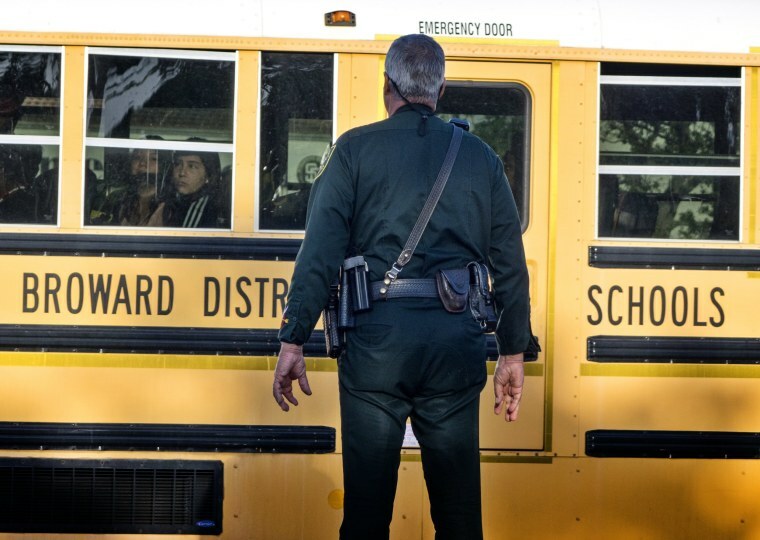 A police officer watches as students arrive on buses. 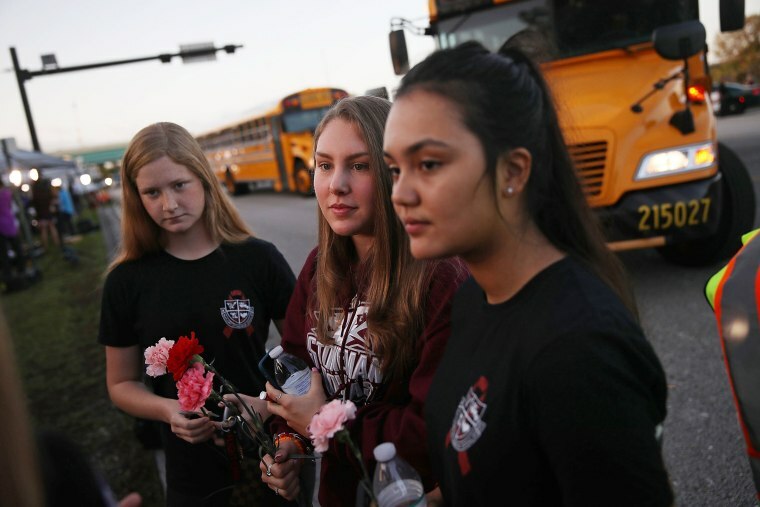 A troubled teenager killed 17 students and educators with an AR-15 on Feb. 14 at the school, thrusting the school into the center of a renewed national gun debate. 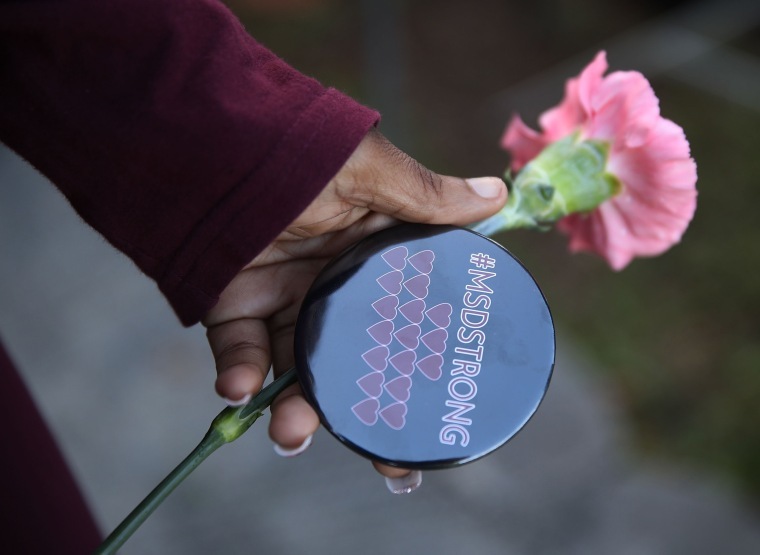 A student holds a flower and a button that reads, "#MSDSTRONG." 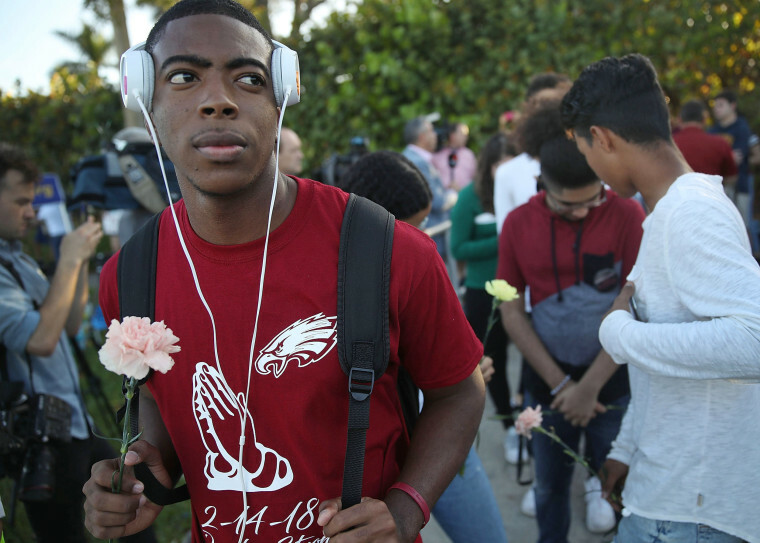 Wednesday's class schedule started with 4th period, so that students and teachers could return to the people they were with during the shooting. The freshman building where the massacre took place remains cordoned off. 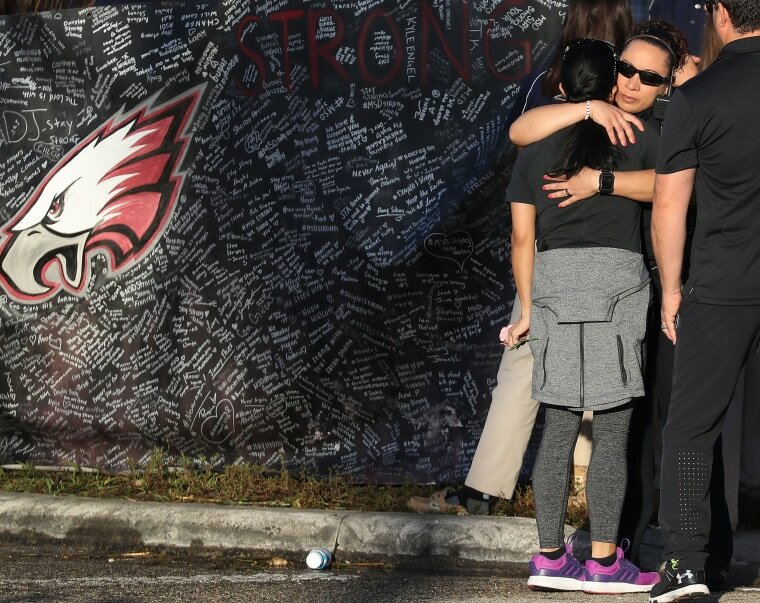 People hug in front of a wall memorializing the victims at the school. A parent shakes hands with a police officer after dropping off kids. 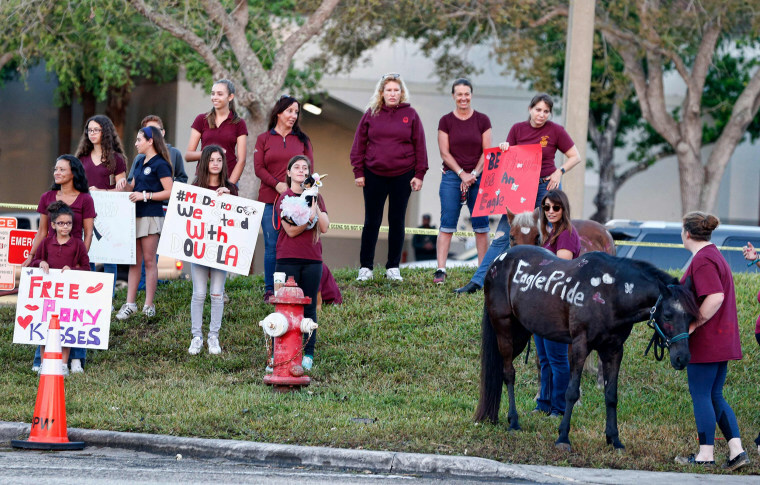 Well-wishers stand with emotional support animals as they greet returning students and staff. The animals were brought from a farm that helps kids with special needs. 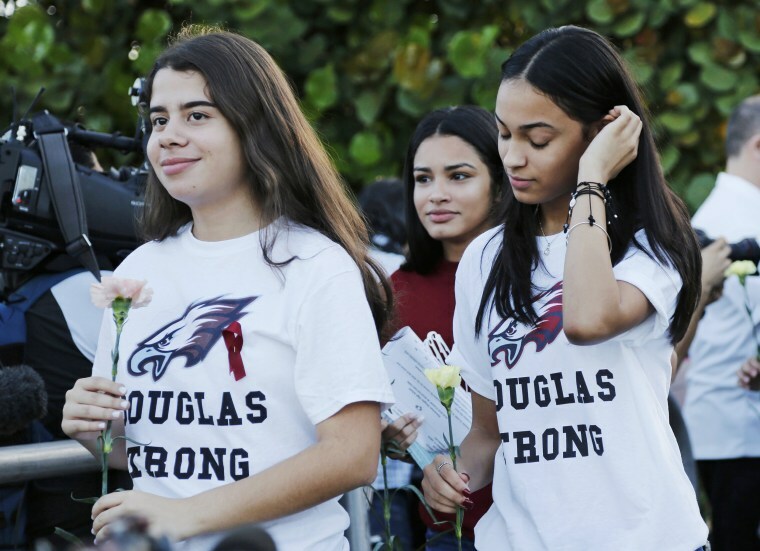 Stoneman Douglas students are now joining the growing ranks of American schoolchildren who have had to learn how to cope with haunting memories after their campuses became the site of a national tragedy. 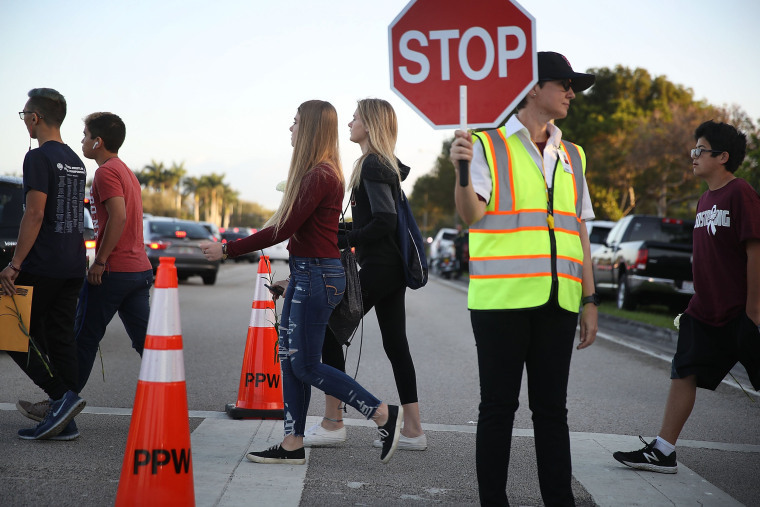 Crossing guard Diane Shaw stops traffic. 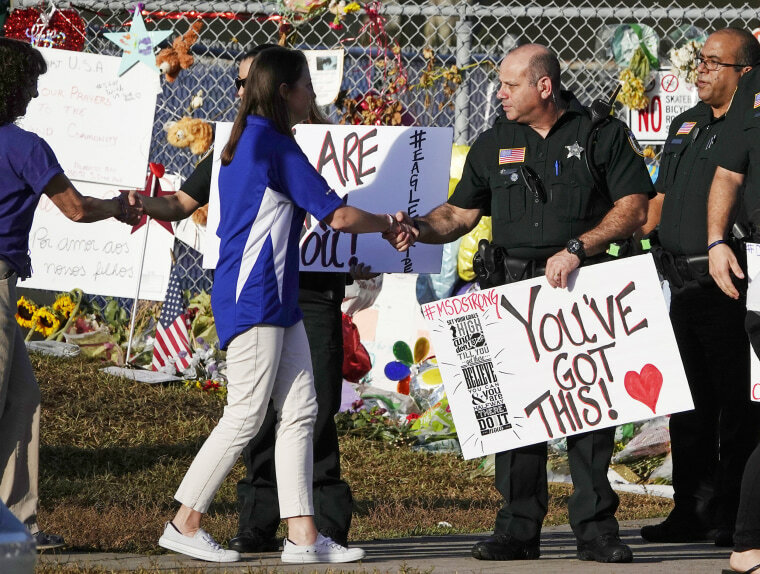 David Hogg, a senior who has become one of the more outspoken survivors, speaks to the media as he returns to school. 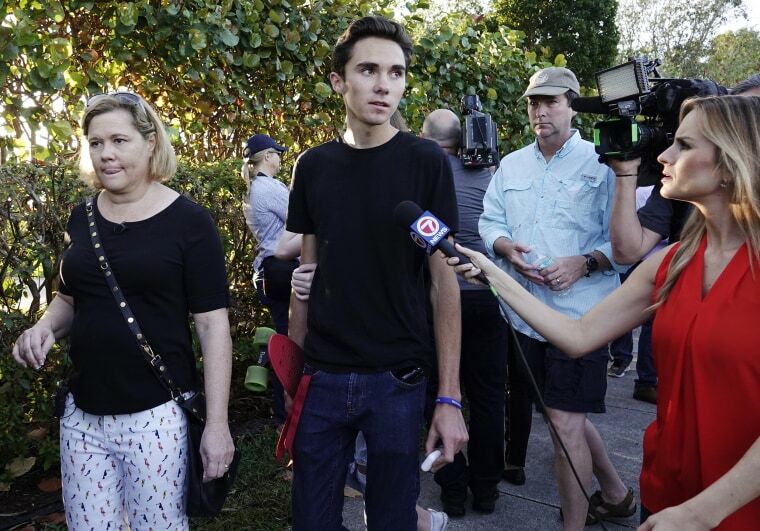 "Imagine getting in a plane crash and having to get back on the same plane again and again and again and being expected to learn and act like nothing's wrong," Hogg told NBC News on Tuesday. 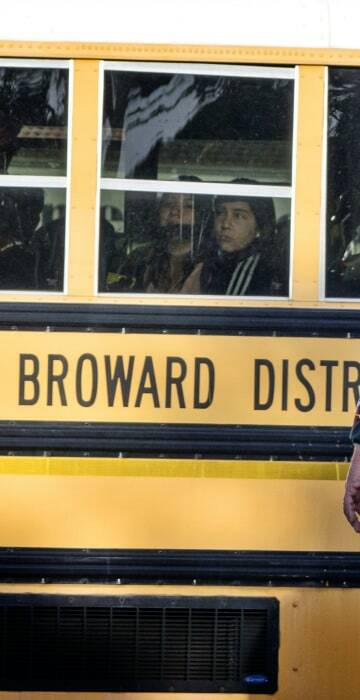 Students and staff leave school after their first day of classes since the shooting. Classes were shortened and it was a half-day.